In my December In Good Faith column, I write about holiday perfection and why it doesn't actually matter. When you live on Main Street in Hingham, Massachusetts, there is great pressure to put up white candle lights in your windows in the weeks leading up to Christmas. I’m not sure how long this tradition has been in effect but it likely traces back to the 17th century town fathers. You know, the ones who missed the boat to Plymouth and had to settle for johnny-come-lately-to-the-New-World status. The ones who don’t have a famous “rock” to celebrate, as anticlimactic as the real thing may be. When we first toured the church rectory over seven years ago, my wife noted the abundance of outlets in the rooms facing Main Street. I mean, now that she mentioned it, there were plugs under every single window. What was that about? Were we supposed to put illuminated neon beer signs in all the windows? Our gracious guide just laughed — it was May after all — and explained this unique “requirement” of living on Main Street. Come December we dutifully went out and purchased the requisite white lights. Well, we tried but by then they were all sold out. And no one was interested in my suggestion to use actual candles. Which was good because, as the house was built in 1789, I certainly didn’t want it engulfed by flames on my watch. 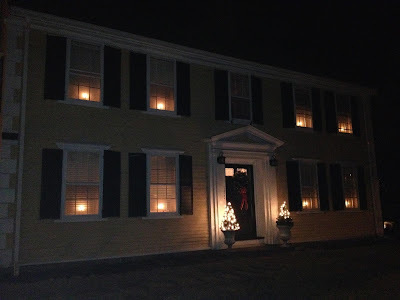 Since the four windows on the second floor comprise the boys’ rooms, we spent the last seven years arguing with them about those window candles. The bottom line? They don’t want them in their rooms. They get knocked over, they can’t sleep with these additional “night lights,” and they see them as a form of parental oppression. We tried negotiating but most December evenings we ended up with lights in the first floor windows and maybe one or two on the second floor. Basically a pathetic, half-hearted display of holiday cheer and certainly not up to the lofty standards of Main Street in Hingham. So you know what? We’re done. No lights in the windows this year. We can chalk it up to a season of our lives — and with a senior and sophomore in high school we’ll soon enough repossess the windows of our home. But I think our window candle struggle isn’t a bad metaphor for the holiday season. So often we aim for perfection — with exterior lights and Christmas cards and holiday parties — and we undoubtedly come up short. One strand of the icicle lights on the porch doesn’t light up, the dog doesn’t quite cooperate in the photo shoot, one of the guests drinks too much spiked egg nog and causes a scene. And as we look around, perceiving perfection in everyone around us, we feel less than whole. We dwell on our shortcomings and fail to see the goodness in our best efforts. And that’s a shame. Living up to other people’s expectations or appearances is not what Christmas is about. At all. If you’re a person of faith, or at least trying to be one, recognize that God loves you not for what you do but for who you are. That’s the miracle of Christmas — that God entered the world in human form to dwell among us. And, remember, it wasn’t to a sterile birthing room but to a muck-filled stable. God doesn’t demand perfection but faithfulness. So, please, be kind to yourself this holiday season. And kindly don’t judge us when you drive by the St. John’s rectory and don’t see a full set of candles blazing in every window. We, like everyone this time of year, are doing the best we can. Thanks for that bit of grace. I really enjoyed your column. The origin of the candles is quite interesting. The tradition started in Europe ( I'm almost certain in rural Ireland). The poor people placed a lit candle in the window on Christmas Eve to let Mary and Joseph know there was a welcome place for them. The idea of 'welcome' ties well into your thoughts. I decided years ago (I'm 70 now) that each Christmas I need to let one of my traditions take a year off. Some years it's Christmas cards, other years a concert, and other years I scale back on decorations. 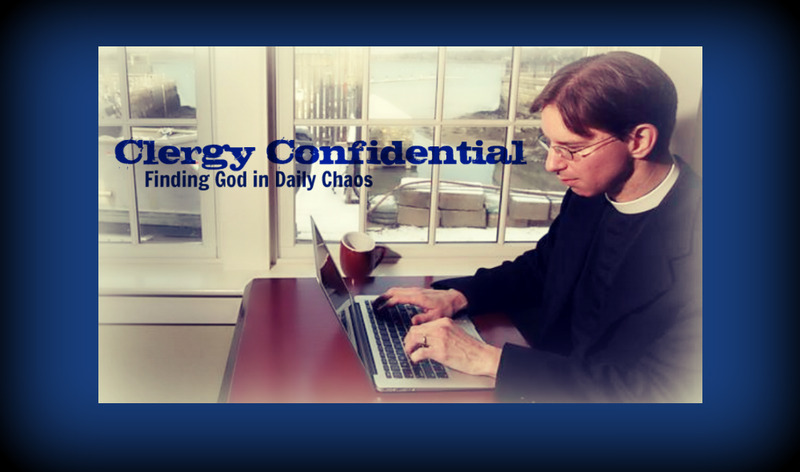 It is remarkable how this relief from the pressure to "get it all done" has improved my joy of Advent. (One year I was sick and ended up not going to Christmas Eve Mass, but that was not on the "cut" list!) And then, I come to Christmas day itself with happy anticipation instead of sheer exhaustion, frustration, and self-loathing.